Hello! Welcome to the next stop on the Wicked Saints blog tour hosted by Wednesday Books. I'm thrilled I get to share my thoughts on this book with you! They say you shouldn't judge a book by it's cover, but that's so hard not to do! 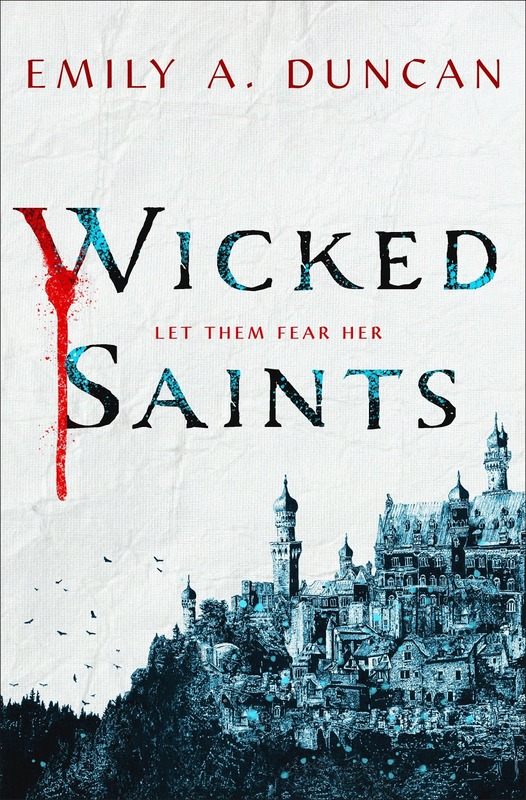 I absolutely love the cover for Wicked Saints, and it's what initially piqued my interest. The blurb easily convinced me that I needed this book in my life, but the cover is what caught my eye and made me read the synopsis in the first place. Wicked Saints promised to be a delicious dark fantasy, and it didn't disappoint. It's been ages since I've read a really good dark fantasy, and this one balanced the line between dark and disturbing. If there had been vampires in this story, they would have been fat and well-fed, because the people in this book seem to bleed frequently and die often. It was almost too gruesome at times, but the author never took it too far. It was just enough intensity to keep me turning the pages, eager to find out what would happen next. Malachiasz definitely stole the show for me, and I think he would have made a better main character. There's nothing wrong with Nadya, but she's always in his shadow. She's supposed to be super powerful, can commune with the gods, and yet she seems to defer to Malachiasz whenever he's around. If it had felt more like teamwork, or two people using each other to get what they wanted, I might have felt differently. It's hard to complain when Malachiasz was such an interesting character, but I wish he hadn't overshadowed Nadya so much. Speaking of those two, I wish the romance had been dialed back a little. I think some of the story was sacrificed for their relationship (or whatever it was). 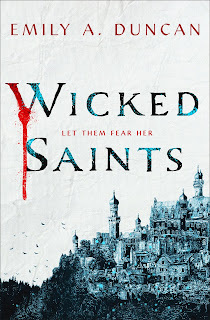 The world of Wicked Saints was fascinating, and I would have enjoyed learning more about it. 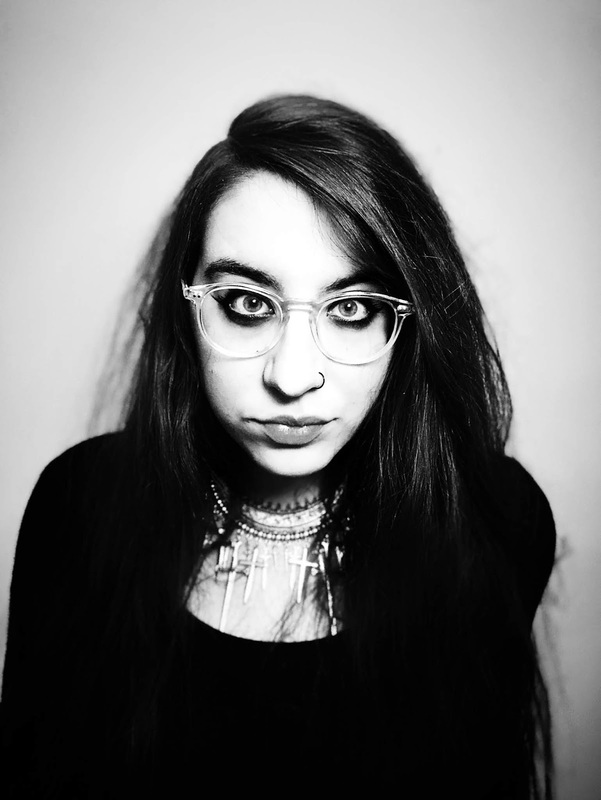 However, it does focus a lot on Nadya, Malachiasz, and their feelings for one another. Don't get me wrong, I love a good romance in books, but this one felt out of place considering their situations. Yay! *highfivesyou* Not only are we review buddies but we both loved this as well! It really was so dark and just wonderful. Oh that sounds good. I've read a couple of reviews for this one now and it seems like everyone is liking this. The romance overshadowed some of the story, but it was a solid read that I enjoyed! If you like dark fantasy, I would recommend it. The cover definitely fits with it then. Truth! I love it when covers match the story, because then they're more meaningful. I haaate it when a cover is completely irrelevant, or serves no purpose but to look pretty. I want it to be significant, you know? I do so love a deliciously dark fantasy! I definitely need to read this one! Same! It didn't feel necessary to the story, and it also wasn't effortless, so it detracted from everything else that was going on. Hopefully you're able to look past it! I agree that the romance could have been dialed back (and honestly I'm holding out for Serefin, haha).